Eversource, National Grid Complete Transmission Line from Mass. to N.H. 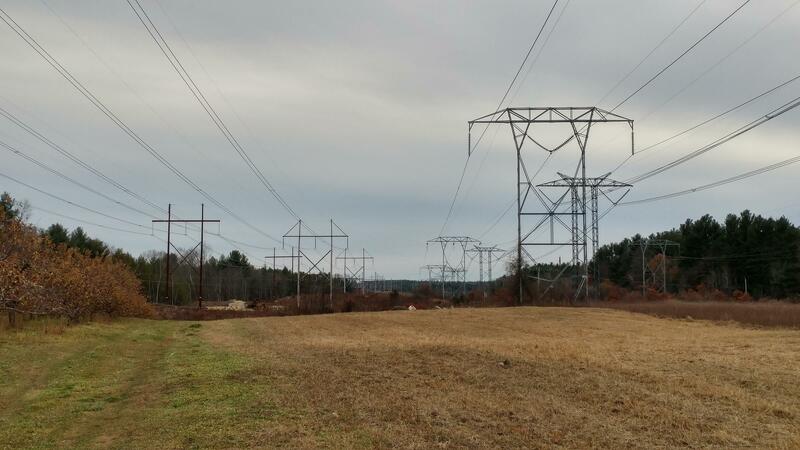 The new transmission line, seen at left in Londonderry, aims to make electric service more reliable for New Hampshire and Massachusetts. Eversource capped construction of a new high-voltage transmission line from Londonderry to Tewksbury, Mass., Wednesday. The Merrimack Valley Reliability Project aims to make service more reliable and a little cheaper for customers in both states. The 345-kilovolt line stretches 25 miles along state right-of-ways. Eversource says it will power up to 400,000 homes at peak demand. Eversource paid less than a third of the project's cost of $129 million, with National Grid covering the rest in Massachusetts and parts of New Hampshire. Eversource’s New Hampshire president, Bill Quinlan, says it should lower customers’ energy bills – but its main purpose is shoring up the region's power grid. "Another outage somewhere else or a power plant comes down – this is essentially system redundancy and resiliency that should reduce the number of customers being impacted,” he says. Most of the line’s mileage is in New Hampshire, enough to require state siting approval. This was the utility's first project in 20 years to win that permission. 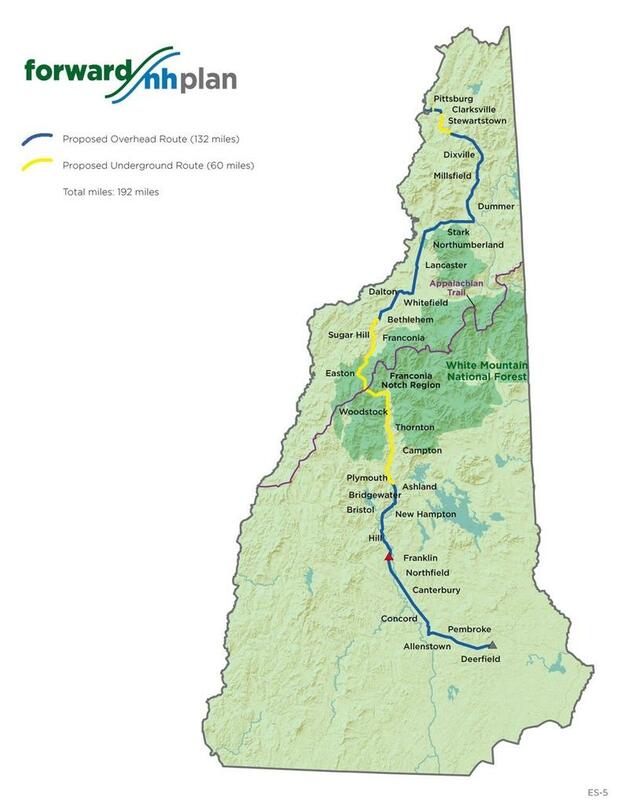 Two other Eversource projects – Northern Pass and a Seacoast project that’s similar to the Merrimack one – are still waiting for it. 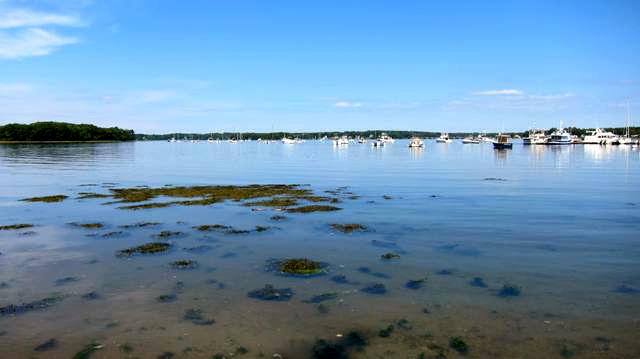 Quinlan says the Merrimack project's approval process was pretty "calm" considering its size. Only one neighbor was an official intervenor in the Site Evaluation Committee case, which lasted just over a year. The SEC took 16 written comments on the Merrimack project, compared to thousands so far on Northern Pass. Quinlan says they want to apply what worked in the Merrimack process to that case and the Seacoast project, too. "It just reinforces the importance of listening and outreach, and this is a great example of that,” he says. Eversource hopes to get approval for the other two projects before the SEC in the next few months. The Merrimack line goes into service Dec. 20. CORRECTION: An earlier version of this article incorrectly stated Eversource paid half the Merrimack project's cost. In fact, Eversource paid less than a third of the cost, with National Grid covering the rest. About half of the project's cost was related to New Hampshire construction. This story has been updated. A New Hampshire nonprofit says a new trail atop Mt. Washington was built illegally. 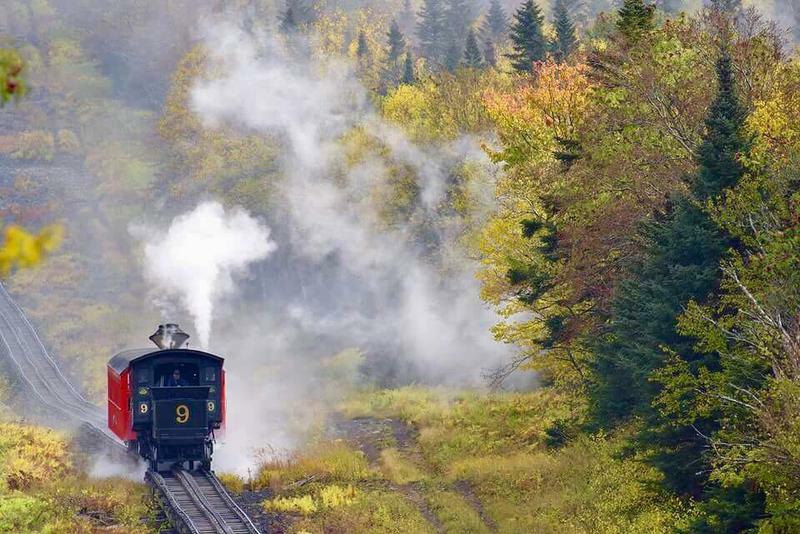 The Cog Railway company recently cleared the three-mile path to the summit on its own land – and it disagrees. Losing power is annoying. Losing power for several days when you’ve got a large turkey to cook is infuriating.